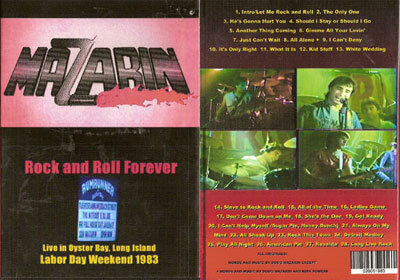 Mazarin -Live in the Studio 1986! Includes: The Only One I'll Dance With, Rock It Up, Thinkin Of You, Smile, Ladies Game, How Do You Say Goodbye, Let Me Rock N Roll, Danger Zone and others! 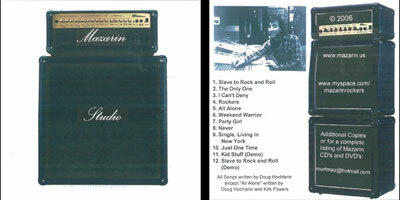 28 Live songs videotaped at Rumrunners in Oyster Bay LI.